Do you want to easily measure the amount of juice or milk you are consuming? 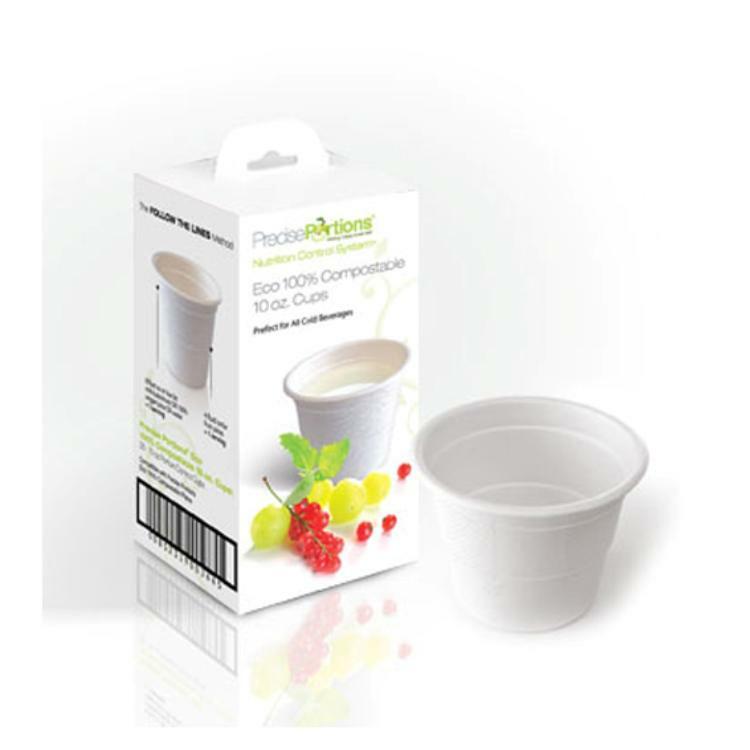 The Precise Portions compostable, disposable, 10 oz. beverage cup is pre-measured with 4 oz. and 8 fluid oz. indicators, taking away the guesswork for recommended portion sizes. Do you want to easily measure the amount of juice or milk you are consuming? The Precise Portions compostable 10 oz. beverage cup is premeasured with 4 oz. and 8 fluid oz. indicators, taking away the guesswork for recommended portion sizes. The Precise Portions 100% Compostable Portion Control 10oz. Cups (Set of 25) are disposable and made of recyclable natural fiber. Recommended for cold beverages only. Use these products for a fast and easy way to plan meals using the Create Your Plate model.